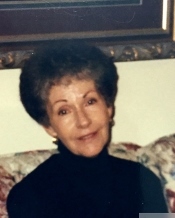 Services will be conducted for Mrs. Billie Lee Arrendell, 84 of Longview, Tx on Monday, July 16, 2018 at 11:00 am at The Little Chapel by the Lake at Colonial Gardens Cemetery, Marshall,Tx. Visitation will be at Sullivan Funeral Home on Sunday from 5:00 pm to 7:00 pm. Mrs. Arrendell passed away on Thursday, July 12, 2018 at Christus Good Shepherd Medical Center in Longview after a sudden illness. She was born in Alexandria, La to Cleo and Jesse Floyd Lee. She was raised in Humble, Tx and lived in Longview for over 25 years. At Humble High School she was an avid basketball player and went on to study at the University of Houston. Mrs. Arrendell was a retired secretary in the oil and gas business. Most of all she was a loving daughter, mother, and grandmother who was loved by all who knew her. She was preceded in death by her parents and two brothers, Harold F. “Buddy” Lee and W.H. “Dub” Lee. She is survived by her son, Mike Arrendell and wife Carol; grandchildren, Tonya Reed and husband Kevin, and Racheal Swaty; great grandchildren, Hunter Shumake, Meagan Poindexter, Jacob Swaty, Ava Reed,and Danielle Faith Shumake; three nephews and two nieces and a host of friends.